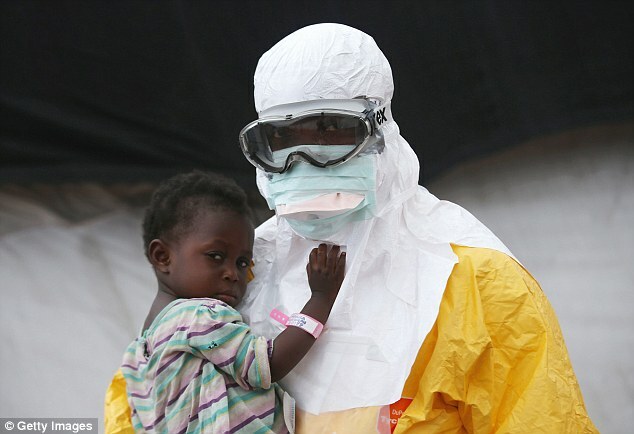 Over the last two years the world has combated the largest Ebola epidemic in history. And the current upsurge, beginning in West Africa in 2013, continues even though it has fallen off the front pages of our newspapers. Ebola is a fearful disease. There are multiple strains, a dreadful mortality rate, and scientists know precious little about it, as Ebola is relatively new to the medical community. The first outbreak was less than 40 years ago, so unlike the flu, the mumps, or polio, generational knowledge of the disease is lacking. To that point, scientists don’t know exactly how the virus leaves the animal population and crosses over to humans. They don’t know where the natural reservoir, that is the primal source, for the disease is located. They don’t know how Ebola will evolve and mutate going forward – there is just so much we do not know. I heard one of these workers, a nurse, interviewed via radio late last year when the Ebola hysteria was at its peak. The interviewer asked a good question: “What materials or supplies do you need to improve your work?” I waited to hear her speak of more money, more hospital beds, more IVs, or what not – all were definitely needed. But the nurse gave a surprising, most beautiful answer. She said, “What we need are new biohazard suits; ones with full, clear screens so the patients can see our faces.” She went on to describe their current outfits: Bulky, hot, with only eye holes to peer out of, or cumbersome goggles. This nurse is a skilled caregiver, regardless of her technical proficiency, for she understands that the healing process requires kindness, warmth, and clarity as much as it requires antibiotics and oxygen tanks. “So they can see our faces,” is simply, good medicine. Her words reminded me of the great Aaronic blessing from the Hebrew Bible. It goes something like this: “May God bless you and protect you. May God smile on you and show you grace. May God look you full in the face and give you peace.” It’s all that anyone could ask for, good medicine for sure: To have a life that flourishes, for God to grant peace and grace, and for Providence to smile in our direction – that is good medicine indeed. And it is medicine so badly needed. I don’t have to work very hard to convince you or anyone that this world is a difficult place to live. Ebola. Disappearing airplanes. Ferguson. War in the Ukraine and the Middle East. The Islamic State. Boko Haram. Extremism at every turn. Oh, and don’t forget the garden variety troubles we all have: Illness, divorce, the deaths of those we love, too many bills and not enough paycheck, so on and so forth. Any one of these, much less enduring the entire lot, is enough to blind us, isolate us, and make us afraid. Yet, through it all, God is smiling. That is, he is caring, loving, and healing, showing his face to those who will see it. Yes, that face is sometimes masked by religion’s camouflage or some creed’s bulky, cumbersome language.This doesn’t mean God is not present and that God does not care. I believe he cares – immensely. And when we catch his smile, even for the briefest moment, it lets us know that he is here and that he is working to heal our hearts and our world. Ronnie, it looks like we have had some similar experiences. In my all most seventy-five years I have been a pastor with twenty-five years between pastorates (seem to have forgot what it was like to pastor and took a a part-time church). The rest of the time I served as Hospital Chaplain (psy. CPE residency and reg. ), Clinical Chaplain-in state prison, Pastoral counselor and in private practice (LPC). Oh yes, Critical Incident Debriefing, did that. I’ve thought about starting a blog, but after reading yours maybe I’ll just stick to making comments on the blogs of others. Man you have the talent, drive, faith, and desire, and you do it so well. Ronnie, forget to tell you how much I enjoyed this article on “God Smiles.” I’ll use some of it in my devotional tomorrow at the dementia unit. Hopefully I’ll remember to quote you. I love your blogs. I am always touched by your thoughts. This one reminds me of a recent story on NPR. An artist is putting photos of the health workers on their biohazard suit!